A new plan for the waterway proposes dredging 26 miles of The Grand River, risking the quality of this vital resource. Spring is here, temperatures are warming to above freezing and steelhead fish are running again in The Grand River. A vital resource to the Great Lakes region, The Grand River flows 246 miles across Michigan, through the City of Grand Rapids and into Lake Michigan. The Grand River attracts the largest annual migration of steelhead in the Great Lakes and is also known for accommodating world-class salmon, small mouth bass, walleyes and other species. In this region, the steelhead call Lake Michigan home, but about every 4 years, steelhead return to spawn in the stream in which they were born, making the Grand River a premier fishing location. In Grand Rapids, anglers also enjoy the unique experience of fishing in an urban setting. They cast their lines downtown in the river or on the banks, within a few minutes’ walk to a variety of local breweries, eateries, museums and shops. An important commodity to industries, and significant to the ecosystem of the Great Lakes, The Grand River also provides recreation for paddlers and anglers. 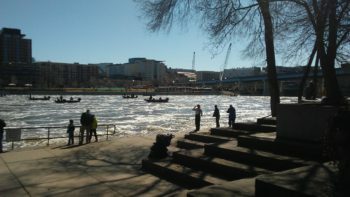 On a sunny Saturday in late March, I arrived at Fish Ladder Park, in the heart of downtown Grand Rapids, to find anglers on both sides of the river banks with their poles dropped in the water. Even small fishing boats have access to the river nearly 20 minutes downstream from the popular fishing spot near the Sixth Street Dam. Fish Ladder Park provides access for all community members and visitors to watch the fish during seasonal migration. The park includes a functioning art structure designed by artist, Joseph Kinnebrew, known as a “fish ladder”, allowing fish to “jump” through a rapid feature that assists them in migrating around the large dam. I was lucky to visit on the first warm day of the season, after rain and snow melts the river was high. Many people were fishing, strolling the riverfront paths or stopping by to catch a peek at the steelhead migration. Among the anglers that Saturday was Paul. (pictured) Local anglers like Paul grew up fishing in the Grand River and look forward to the spring when the steelhead start to run. Living and working in Grand Rapids, the anglers care about The Grand River’s quality and aquatic life it supports. As Paul and others stood along the banks, casting in lines and trading tips, they shared their river stories with me. 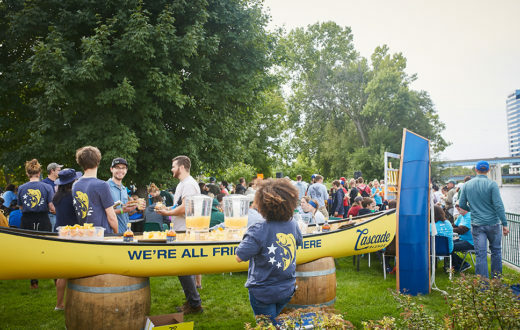 Grand Rapidians are passionate about their river and appreciate the recreational opportunities it provides, like having public parks and walkways along the river banks, as well as fishing. 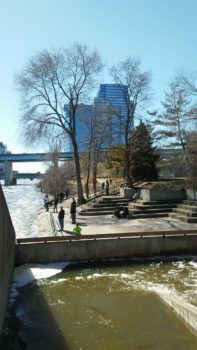 Community members like Rachel, a young mom that works in the city, have fond childhood memories of spending Saturdays at Fish Ladder Park with parents and siblings, watching the anglers fish in The Grand River. 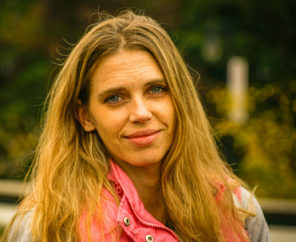 Rachel would wait anxiously to see if anyone got lucky with a “great catch.” Her early experiences on a healthy river grew into many more fond river memories that include paddling and tubing on river trails throughout the state, and volunteering in her community for river clean-ups. Not all community members have such fond childhood memories of the Grand River; decades ago the river appeared to be on the verge of collapse. By the mid 1900’s the Grand River was filthy; “you didn’t want to fish, swim or be near the river,” a retiree, George recalls. He grew up with stories from parents and grandparents about sewer overflows and industrial pollution that once plagued this important water body. With the help of policies like the Clean Water Act (1972) and local action from community members and environmental advocates like West Michigan Environmental Action Council (WMEAC), efforts to repair and protect this water body were underway. 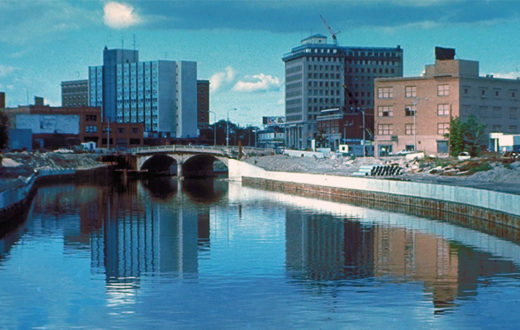 While the Grand River is now, as reported by The Muskegon Chronicle’s Grand River Series, healthier than it has been in the last 100 years, significant problems remain. Thanks to efforts by local leaders to improve water infrastructure and community advocates like WMEAC that have dedicated over 50 years of river clean ups and environmental education, the quality of the river has much improved. Increased recreation in the Grand River has led to the creation of riverfront development plans, including plans to restore the rapids and proposed dredging. Anglers like Paul, and community members like Rachel, fear the past has been forgotten and plans that promise economic growth to the region may decrease the quality of the City’s most precious natural asset. Although not uncommon, dredging is mostly used in shipping navigation, mining, and construction activities or to clean-up the environment from pollution spills. But this urban river is no Suez Canal and even the effects of environmental dredging are controversial. 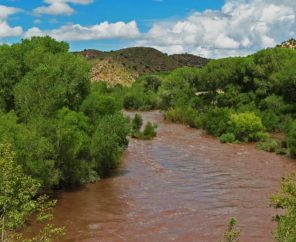 Removing large quantities of contaminated sediment to land can have huge environmental impacts, not only to aquatic habitats but to the land and other species as well as human health. In an estimate by the Anderson Economic Group, the Waterway plan proposes an economic impact of $5.7 million annually from increased visitor spending with a projected $614,000 increase in collected property taxes for municipalities. The project is expected to cost an estimated $2.15 million with hundreds of thousands in annual maintenance costs, with no word on who pays the bill. The economic assessment excludes cost related to environmental degradation associated with dredging up contaminated sediment, or the cost of expected soil erosion along the river banks due to increased boat traffic. The report also lacks the cost of additional air, water, land and noise pollutants or containments produced from power boats and increased human activity. It is also important to highlight that dredging is not a one-time activity and would need to be preformed repeatedly to support this type of waterway. The report also lacks any socio-economic implications associated with the expected increase in property values along the river banks. Without input from community members, the project assumes people living along the river banks want their property values increased and would be able to pay higher property taxes that tend to follow a project such as this. To put it simply, this plan lacks critical local information from the community of neighbors that live near or on the banks of The Grand River as well as the visitors that fish and paddle in the river and those that have been fighting for many years to increase the quality of the Grand River. 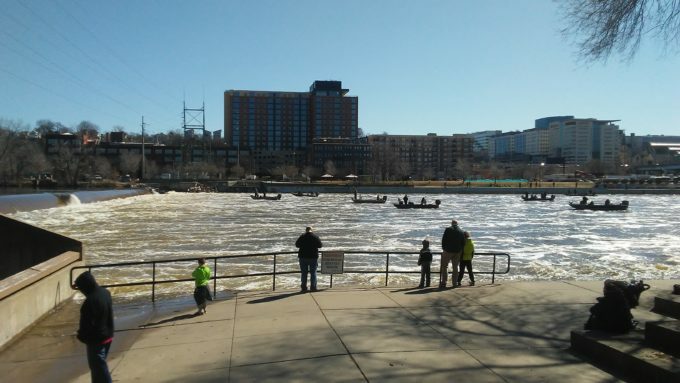 On this spring Saturday afternoon, concerns of proposed river projects like dredging aren’t far from anglers’ minds as they toss in their lines. 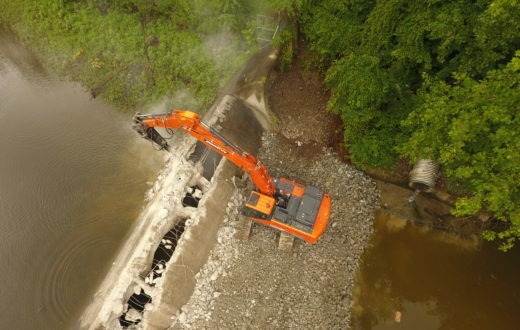 They shared recent changes they’ve seen in the river, like the disappearance of a small peninsula that stretched across part of the river caused by recent construction along the river banks. Further impacts from dredging and other projects that lack environmental considerations concerns anglers about the impacts to the variety of migratory fish that spawn in The Grand River. Before long, Paul’s efforts paid off, he was pulling in male steelhead trout from the line. After the excitement wore off, and “selfies” of the catch were captured, he took time to tell me how local anglers appreciate the now thriving habitat of fish The Grand River provides. To do their part to maintain a healthy species, in a manner of unspoken law, most anglers won’t keep female steelhead, especially during migration when they are spawning. Several riverside parks in and around the banks of The Grand River provide a variety of recreation opportunities for the city. 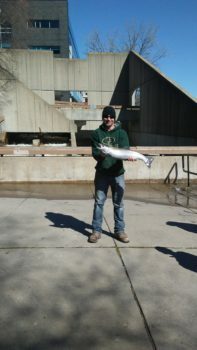 The steelhead migration makes Fish Ladder Park particularly “trendy” this weekend with change to spring, higher waters, higher temperatures, many onlookers and anglers are enjoying this opportunity. 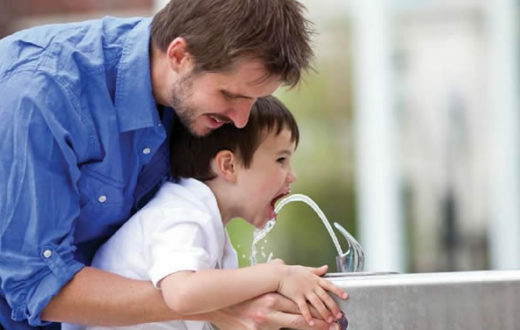 But these natural amenities, also vital to community health in urban areas are only available today thanks to the efforts of local advocates educating the community and public leaders that have fought tirelessly to restore The Grand River back to health. For now, the steelhead are here and anglers like Paul, can snag a great catch and be home in time to see both Michigan teams play in the Second Round of NCAA Championship games. American Rivers supports the recent attention West Michigan Action Council (WMEAC), and local advocates are illustrating in speaking out against the Waterway Plan to dredge the Grand River. Particularly in urban areas, community members want the access to enjoy the recreation opportunities a healthy Grand River provides to them and their families. To learn more about advocating against dredging or other local environmental concerns in West Michigan, visit WMEAC at www.wmeac.org.